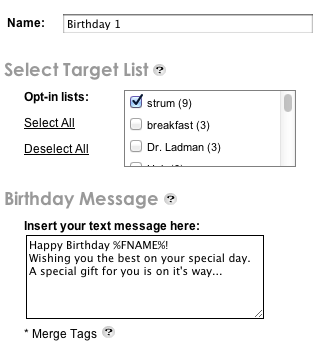 Here is a step by step guide on how to send out Birthday Wishes through your advertiser dashboard. First, click on the Birthday Wishes link on your advertiser dashboard. Name: Create a name of your birthday wish here.